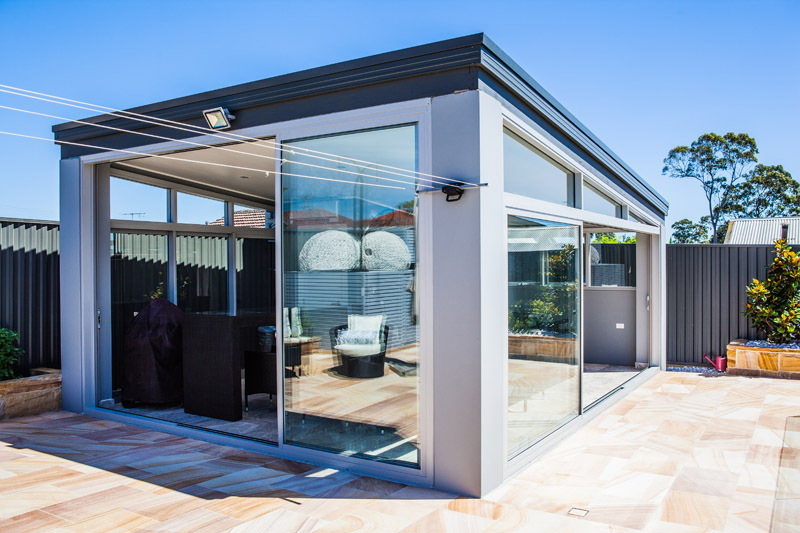 Modern architecture places a great deal of value in natural light. 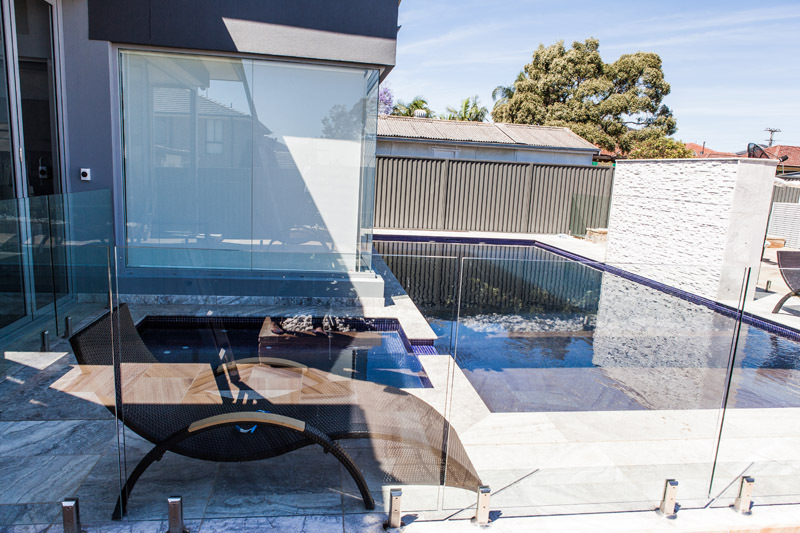 For luxury homes this means big, glassy walls and outdoor environments and because the modern architect also likes to avoid blocky lines wherever possible, these luxury homes also tend to have odd angles and lines in them. 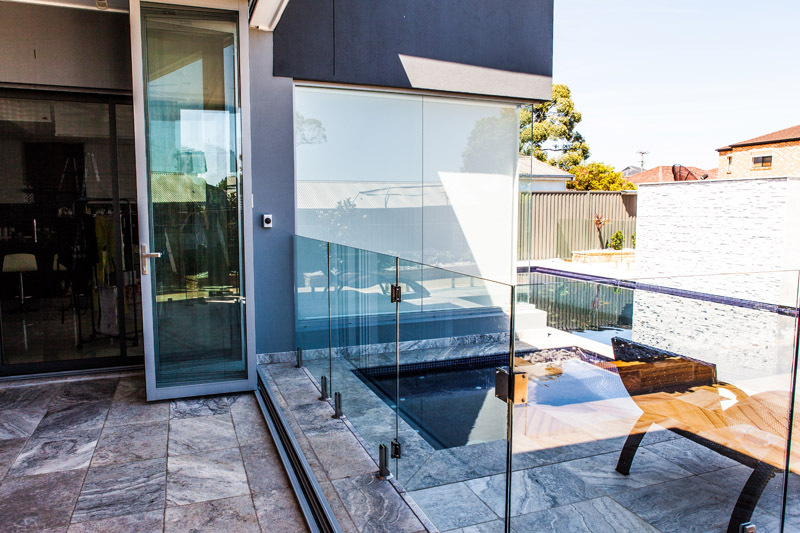 When Innovative Aluminium and Glass was contracted by a private resident to work on their Haven Street address, we were asked to help come up with designs that would be striking, modern, and stylish. 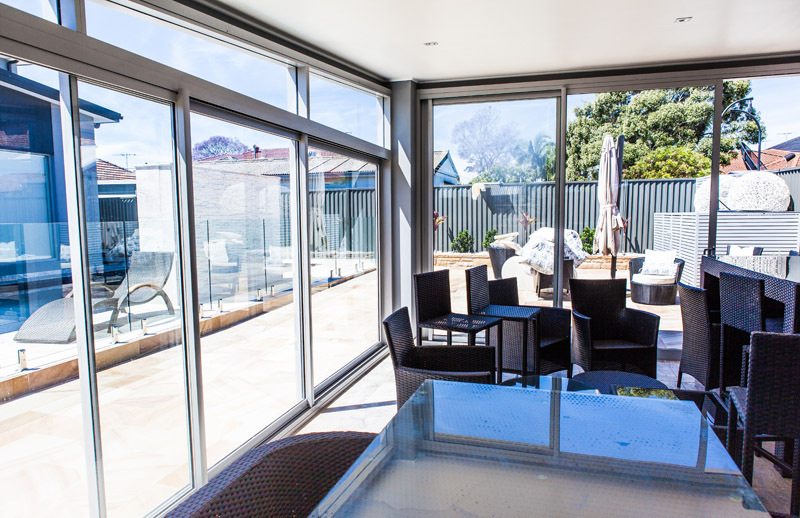 The client wanted a BBQ area with a sliding door on either side of the area, but there was a challenge – the main opening was not square. 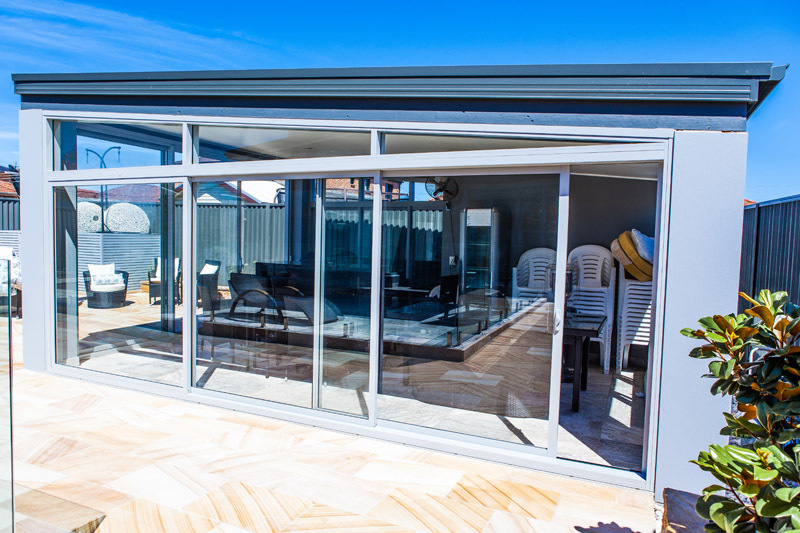 We needed to come up with a solution that would square up the building so that the doors could be installed. 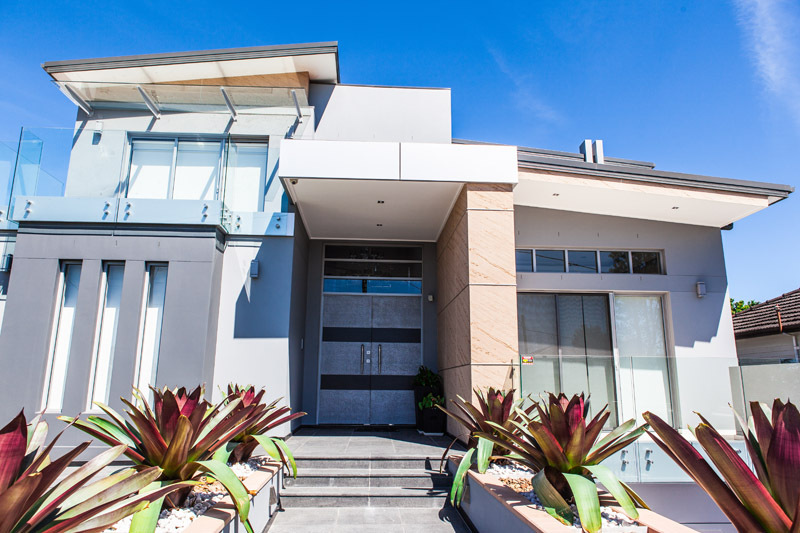 The solution was to add in another angle across the top of the building to create a flush, square area while leaving the visual impression of additional lines in the design. 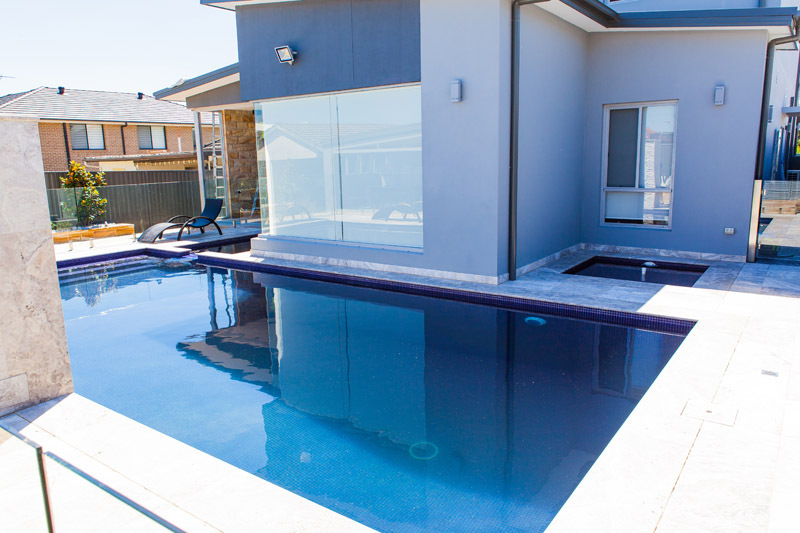 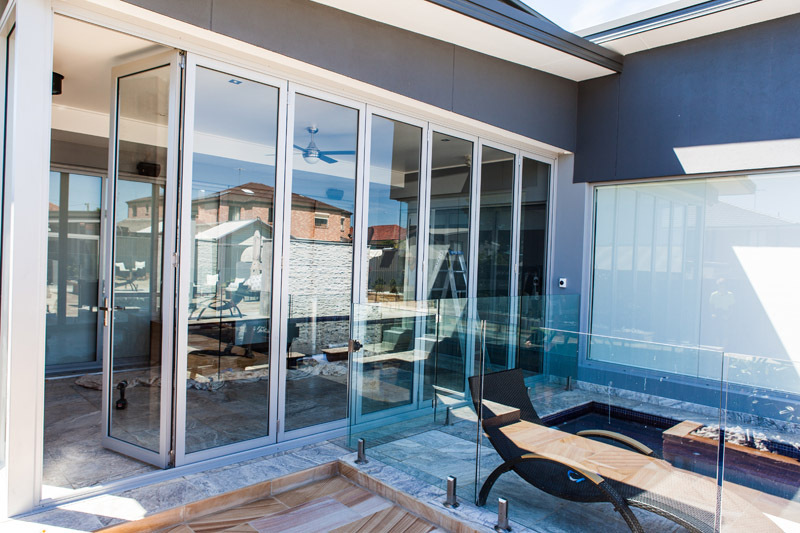 Once that was installed, we were able to create a three-panel sliding door and bi-fold door that together would close a full seven metre opening, but could be all opened up so that a large group of people could enjoy the area and pool area without being obstructed by glass separating the outdoor from inside. 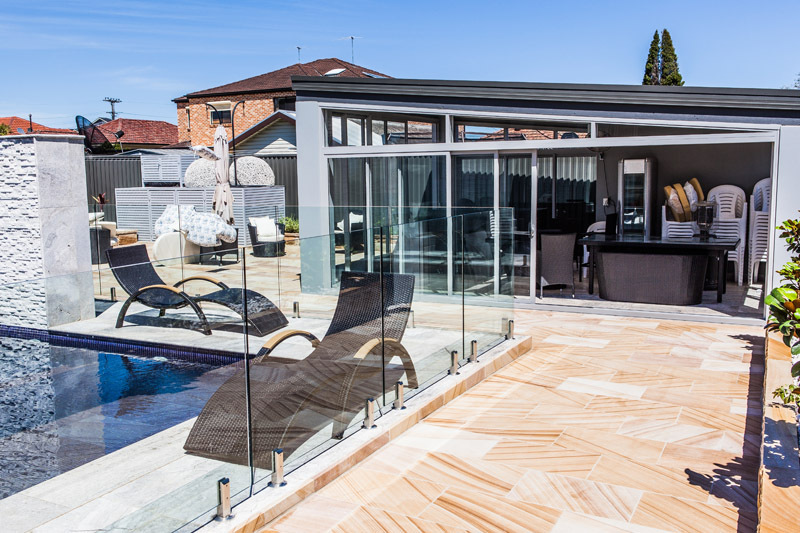 Most luxury homes will require similar levels of customisation as the owners seek a unique living space that suits their personality and aesthetic sense. 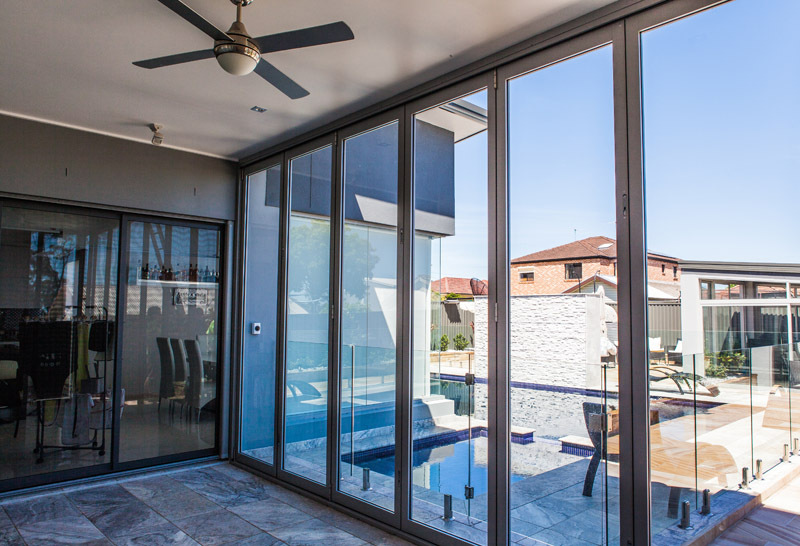 This in turn means you need to find an installation expert who understands how to achieve your vision in a practical sense, and then can achieve it while remaining on budget. 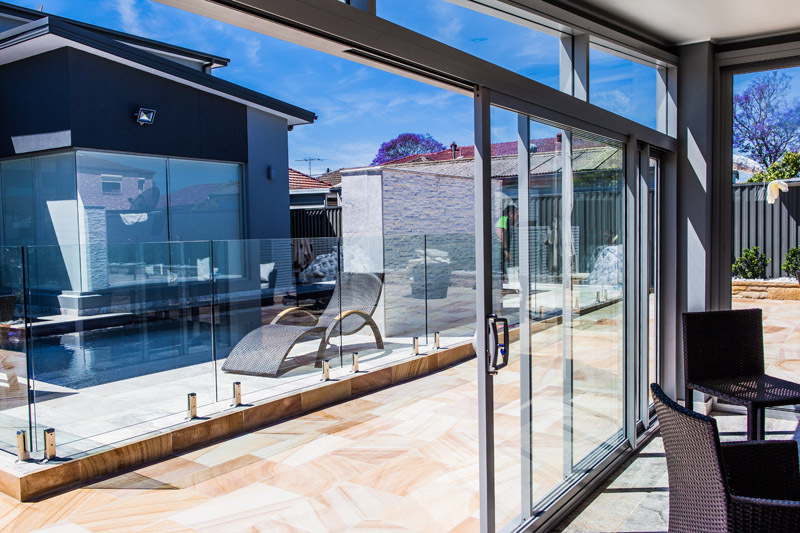 With over 25 years of experience in achieving just this Innovative Aluminium and Glass has the proven track record to make your dream luxury home a reality.